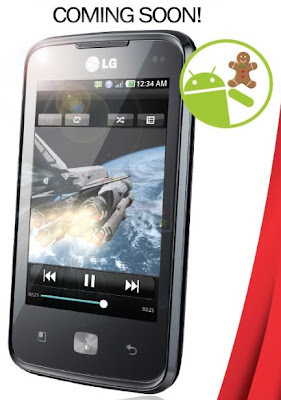 LG Optimus Hub Philippines Price, Specs, Photos - Arriving Soon! TP Friends, check this out! 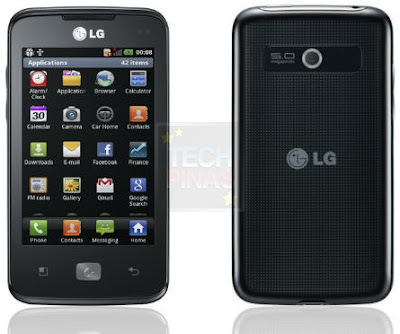 If you loved the best-selling LG Optimus One, then you're sure to feel excited about the imminent release of its follow-up, LG Optimus Hub, in the Philippines! With technical specifications like an 800 MHz processor, 3.5-inch 320x480 pixels capacitive touchscreen display, 5 MegaPixel autofocus camera, and Wifi, Bluetooth and 3G connectivity support, I'd say LG Optimus Hub running Android 2.3 Gingerbread is at the same upper-midrange category as the popular Samsung Galaxy Ace. No official word yet from LG Electronics Philippines on this handset's exact release date in the Philippines but I believe it should hit store shelves this December. As for the price, our guesstimate is Php 9,990.